It looks as if this is going to be a prefab structure. The stairwell went in, in two pieces. 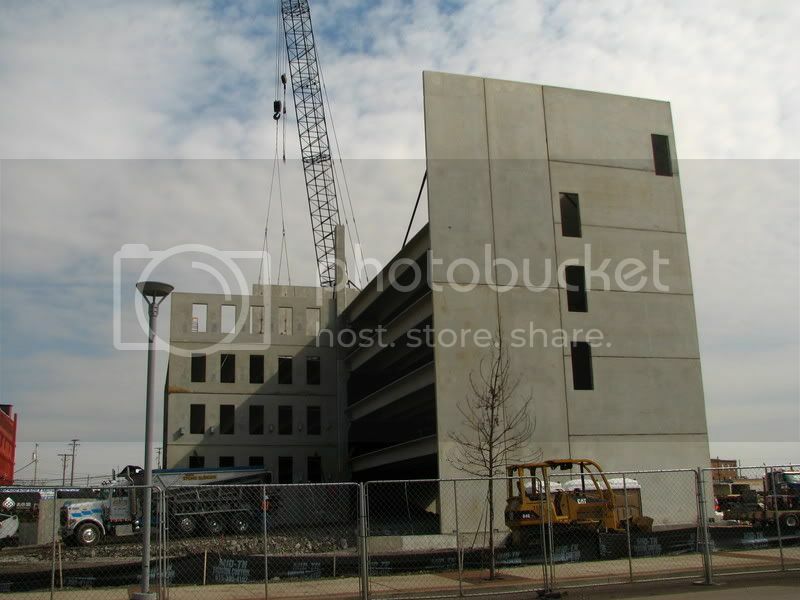 Looks as if the walls are large precast parts as well. Thanks Hank, that explains some things then. 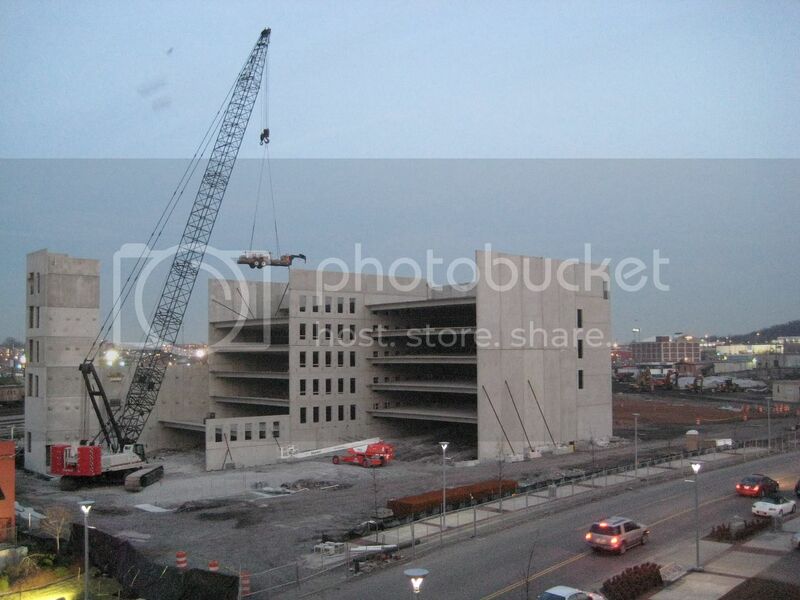 Velocity is going to be a pretty masive building it looks like. Another nice addition to the Gulch. Good to see some progress. Here is a shot from a couple of days ago. Going to be larger than I envisioned. What is that? I drove by tonight after a great dinner at Sambuca, and is that like an elevator bank? From what I could tell about the construction at site is what Hankster said. 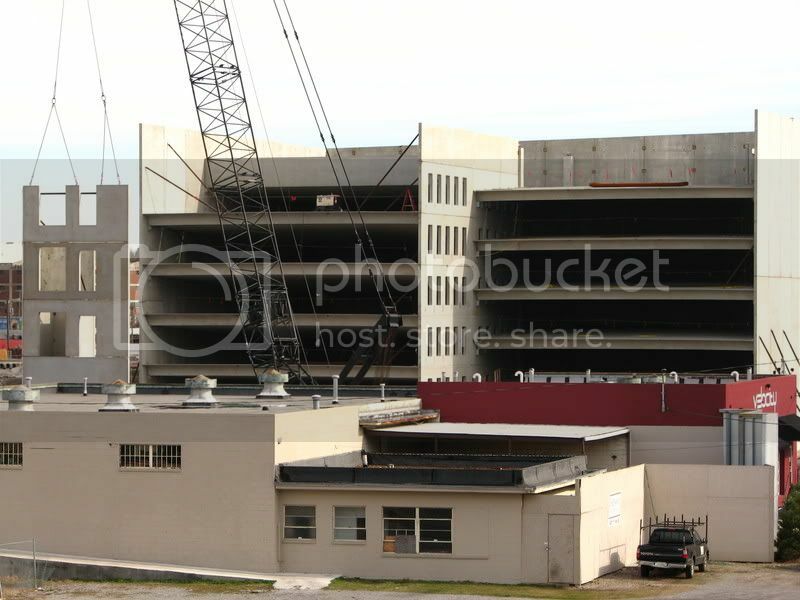 The entire front and side of the parking structure looks as if it will be wrapped by condos. There are holes and construction over a large area at this site that supports that. The parking structure looks much closer to 12th Ave than the siteplan indicated. Here are a couple fo more from yesterday. The second shots gives you a good perspective on just how dense this area is becoming and also where everything is in relation to the other projects. I am not sure what the skin of the Velocity will look like. I think brick. I am going to wait and see how Icon will look after its completed, before I judge too harshly. 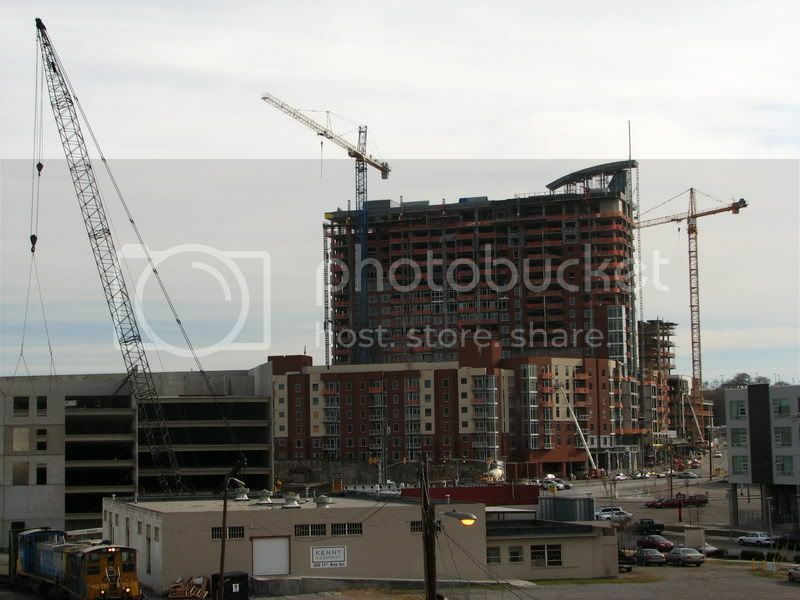 and has anyone heard of any retail coming into the Gulch area? What is this thing a prison? Maybe this thing will start to come around before long but I'm not sure how those big slabs of concrete will address the street. Maybe they're supposed to be wrapped with the whole residential/retail aspects of the project. So how far back does the garage sit from the street? Can you guys get a picture from the other angle to enable a view of its proximity to the Icon? I would bet the garage sits about 50 feet from the sidewalk. I drove by last week and that about what it looked like to me. Sometimes its real hard to judge distance. You may be right though. I will go by when I get a chance and take a good look.